Putin Is Calling Xi a ‘Good Friend’ As They Face The Challenges From The U.S: Chinese President Xi Jinping treated the Russian counterpart Vladimir Putin to a state visit on Friday as the neighbouring giants forged closer ties in the face of U.S. diplomatic and economic challenges. 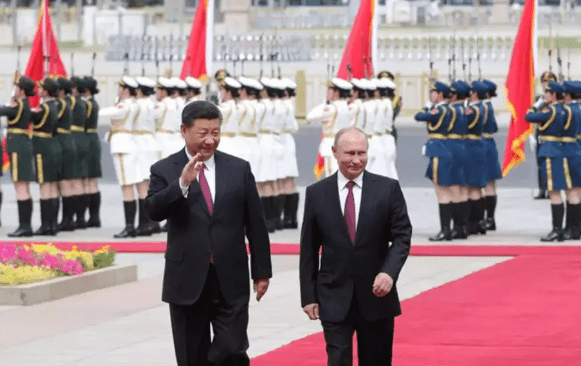 Mr. Putin, re-elected to his fourth term in March, arrived at the grandiose Great Hall of the people in the Beijing for talks with Mr. Xi, who could stay in power for life, after term the limits have lifted this year. The two heads of state reviewed a military honor guard, and greeted flag-waving children during the welcoming ceremony, before retreating to the Great Hall. Two of the most influential Russian and Chinese leaders in decades, Mr. Xi and Mr. Putin, have built the closer ties, while U.S. President Donald Trump has labeled both countries as economic rivals, who have challenged the U.S.’ core interests and values. 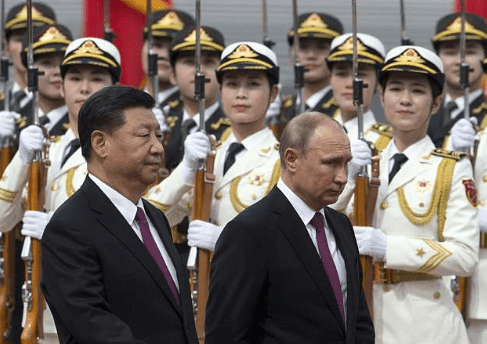 Mr. Xi and Mr. Putin are “soulmates who want to make their countries great again,” Alexander Gabuev, is the senior fellow at the Carnegie Moscow Center, told AFP. Both share skepticism towards the American hegemony and distrust U.S. intentions. As they are both authoritarian personalistic rulers, he said. China is in tough negotiations with the U.S. to avoid a trade war, while Moscow, Syria, and Ukraine have profound a differences with Washington, on the multiple diplomatic fronts. Mr. Putin played up his bond with his “good friend” Mr. Xi in an interview with China’s state broadcaster CGTN this week. Maria Repnikova, is the director of the center of Global Information Studies, at Georgia State University in the U.S., said China made Russia look “stronger and more relevant” on the global stage. For its part, Russia allowed China to show the U.S. that it had “other options” in international negotiations. 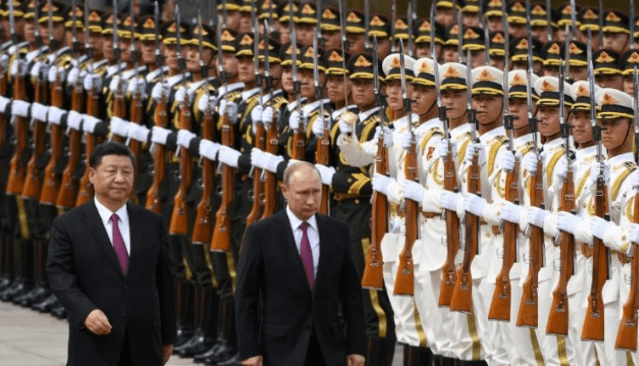 Trump’s policies justified the growing closeness, especially for Russia but also for China, given the volatile relationship with the U.S.,” Ms. Repnikova told AFP. After the Beijing visit, Mr. Putin will join Mr. Xi at a weekend summit of the Shanghai Cooperation Organisation (SCO) in the eastern Chinese city of the Qingdao. China and Russia lead the regional security group, which include the former Soviet states, and new members such as India and Pakistan. Mr. Putin told CGTN that the Shanghai Cooperation Organisation had “small” objectives when it found two decades ago but that it was now evolving into a more significant global force. Iranian President Hassan Rouhani, whose country is an observer member of the Shanghai Cooperation Organisation, will also attend the summit at a time when China and Russia are seeking to save the Iran nuclear deal following the U.S.’ withdrawal from the pact. On the Article as mentioned above, please comment your viewpoints.